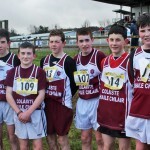 Posted December 31, 2014 by Jacqueline Hogge, The Tuam Herald in Features. 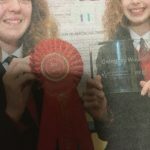 From farming practices to the ice bucket challenge, North Galway students are hoping to make their mark on this year’s BT Young Scientist exhibition that gets under way in Dublin next week. A host of schools throughout the city and county have reached the finals of the competition, with a group of students who represented their school in last year’s event invited back to a panel discussion alongside European Ryder Cup winning captain Paul McGinley. Coláiste Mhuire Ballygar will be represented by fifth year student Cian O’Leary whose project on soil compaction is aiming to impress the judges in the biological and ecological division. The keen farmer is combining his love of agriculture science and practical experience on a neighbour’s farm to determine the causes of soil compaction and the implications it has on crop yield. “A lot of people don’t even know what compaction is, but repeated driving on soil by tractors and heavy machinery reduces the air space in the soil and this affects crop yields,” he said. “I’ve been working on a farm near my home for the past three years so I’ve a keen interest in this area. 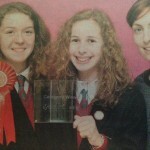 I did a project on this for SciFest last year where I came second so that prompted me to keep researching the area and to develop the project for the Young Scientist Exhibition. 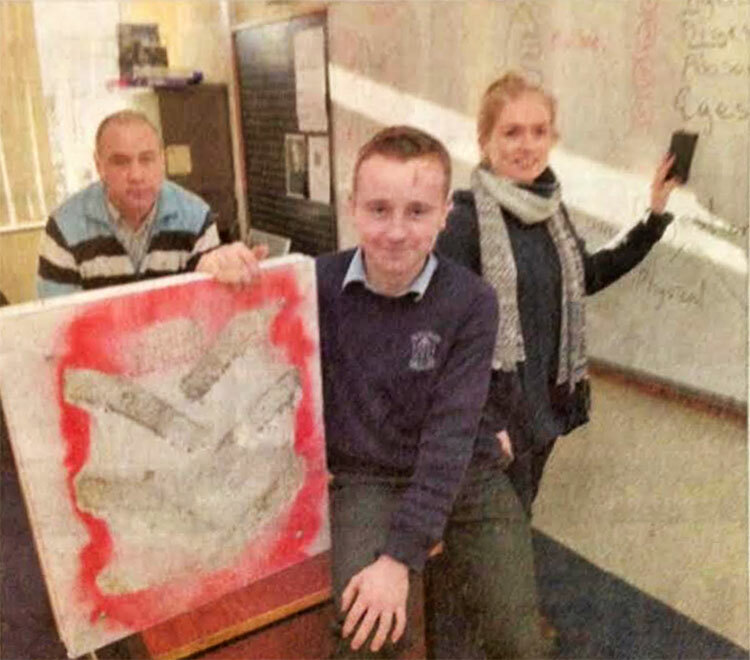 Cian’s father, John, who is a teacher in the school, has been one of three mentors on the project. “My Ag-Science teacher Geraldine Fallon has been a huge help as has Dad and Michael O’Flynn, who is based at the Agricultural College in Mountbellew and has a specific interest in this area,” he added. From farming to Facebook and a group of students in Claregalway are analysing the impact of the Ice Bucket Challenge which went viral during the summer months. 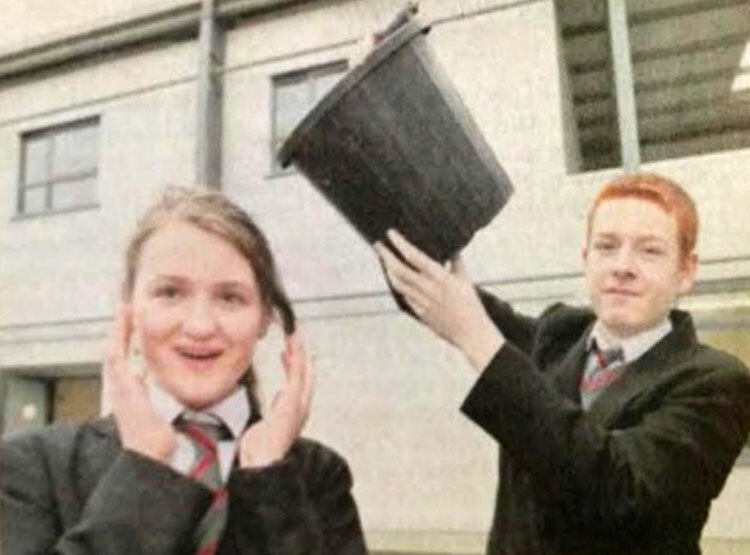 Coláiste Baile Chláir students Meg Regan, Ethan Coogan and Emily Sheeran have examined the rate of adoption for the challenge, which involved people recording themselves dousing themselves with a bucket of ice and posting the footage online. Those who took part then nominated others to do the same and donated money to the Irish Motor Neuron Disease Association. “We’ve gathered responses to an online survey from a group of 250 people including students here at the school, employees of CISCO in Galway and students from Trinity College Dublin to find out how the challenge affected them,” said Meg. Ethan added that their findings suggested the older people among the respondents were less likely to take on the challenge with younger people more likely to accept it and in turn nominate other people. 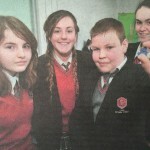 A second group from the school have also been chosen to exhibit at this year’s competition in the RDS. 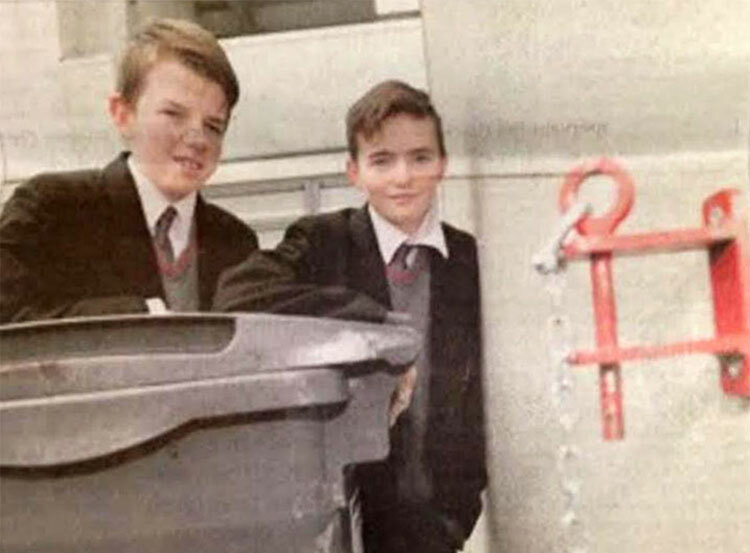 Eoghan Furey and Rúairí Gallagher have devised a practical device to cope with the domestic headache of upturned refuse bins. The ClippyBin device can hold two domestic wheelie bins in place and has been tested to withstand gale force winds. The school is also honoured to have three second year students invited to present their award winning project from last year at a Business of Sports Science Conference being held during the exhibition on Thursday January 8th. Darragh Jordan, Conor Finnerty, and Sean Mitchell won the Special GAA award for their Killtech project which is based around the prototype of a laser beam system that is inbuilt into a handball court to detect the precise location of the hop of a ball to determine whether or not a point has been scored. The boys will share a plathform with Europe’s Ryder Cup winning captain Paul McGinley who will speak on how technology has improved the game of golf. 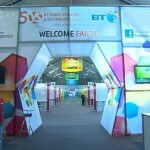 The BT Young Scientist Exhibition runs from Wednesday January 7th to Saturday January 10th with An Taoiseach Enda Kenny due to present the winners with their prizes on Friday evening.